People listen differently when stories are told. Just watch a toddler listen to their favorite book over and over again to know this is true. At the end of your workday, you likely share short glimpses into your day with the stories you tell your family or friends. A well-constructed story is one of the most effective fundraising tools simply because our brains love and need stories to process what we are thinking. Research tells us that our brains are wired to “think in story.” In Lisa Cron’s book, “Wired for Story,” she shares that unless humans feel something, we cannot make a decision. Stories help us make decisions about where to live, what to eat and where to contribute our time and financial resources. My studies of the use of stories for fundraising has spanned more than 30 years as an in-the-trenches nonprofit staffer and as a coach and trainer. I’ve seen first-hand how the inclusion of mission moment stories can positively impact your bottom-line. The very best way to stand out in the sea of daily messages, images and interruptions is to share the impact your work has on the life of one person. But, there is something key that must be added to a good story to cause people to take immediate action: What does it take, financially, to make that impact for one person, and where is your organization at today in having the funds you require to change all the lives walking through your doors. Simply put: Share the gap between where your organization must be and where you are today—financially. Combining that information with a simple, powerful, mission-moment story is what conveys the urgency that makes your message stand out in the sea of others asking for support. 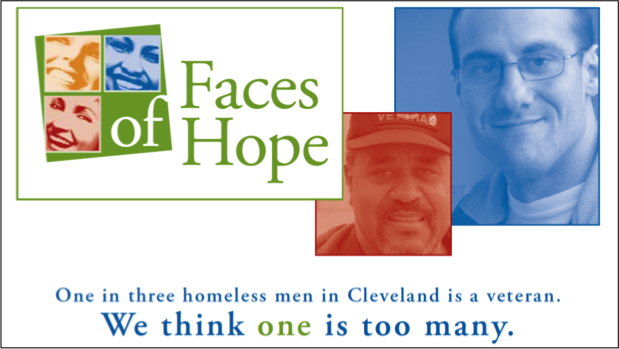 What does this have to do with your nonprofit events? Putting a human face on your work, and then inserting the financial sense of urgency by utilizing what I call “advanced storytelling” will cause your organization to raise more money this year. 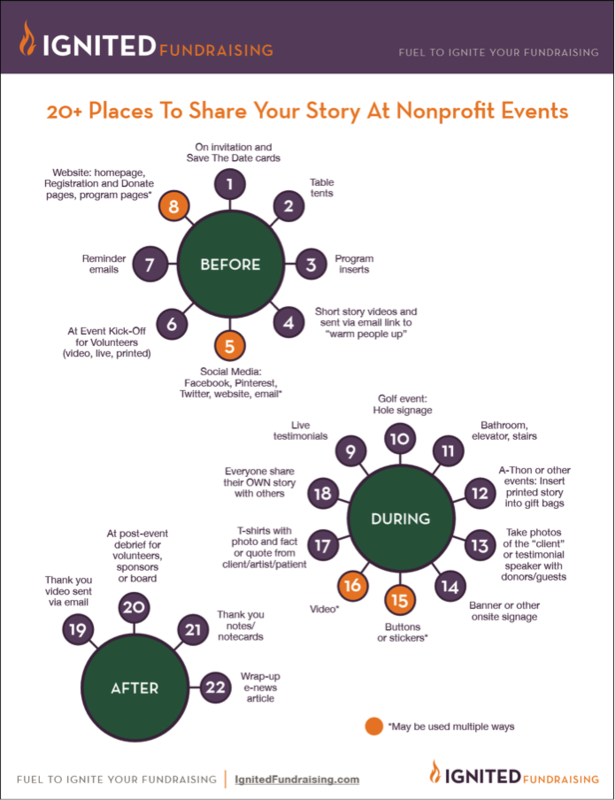 I’ve identified more than 20 ways to insert a mission moment story before, during and after any nonprofit event. This powerful communication practice is what has been used to help nonprofit organizations increase their fundraising anywhere from 10 percent to more than 1000 percent. When you prepare guests attending your fundraising event that there is more work to do prior to your event, they are more likely to make a larger or longer-term gift. Rather than using the language “please attend” or “join us,” use language that inspires, is mission-focused and includes a snippet of a story. Click here to download the storytelling checklist e-book that includes this image. Lori L. Jacobwith, founder of Ignited Fundraising™, is a master storyteller and fundraising culture change expert. With a passion for the positive, she has provided coaching and training for more than 4,500 organizations and 500,000 people. Her work has helped nonprofits raise $300 million from individual donors… and counting.